Interesting selection to spend some time swimming in Drachten. Is it not your first time here? Tell us how it went making use of the Facebook comments beneath or contacting us directly! 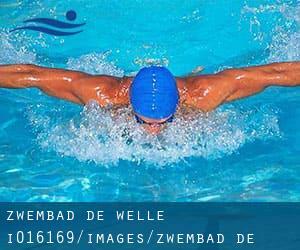 Zwembad de Welle is only one of all of the swimming pools Swimia is offering you, and its facts has been shared with us by a swimmer like you.Bear in mind you'll be able to now promote Zwembad de Welle by sharing this page with your pals, adding comments and linking to us. This sports center provides Olympic size, 8 lanes, Indoors. Contact info for this Swimming Pool like phone number and email address are number. If you believe that any in the details is incorrect, please make contact with us. Assist us be better day-by-day. Updated on 2019 Hartman Sannesstraat 9 , Sint Annaparochie , NETHERLANDS (Postal Code: 9076 EB). Among all the activities offered by the center, if you are considering swimming you'll enjoy 25 meters, 4 lanes, Indoors. If you need to make contact with this Swimming Pool, email address and phone number are both number. Burgemeester de Hooppark 4 , Sneek , NETHERLANDS (Postal Code: 8605 CR). This sports center delivers 25 meters x 15 meters, Indoors. Contact details for this Swimming Pool such as phone number and email address are number. Updated on 2019 Kuipersweg 74b , Buitenpost , NETHERLANDS (Postal Code: 9285 ZW). Among all the activities offered by the center, in case you are considering swimming you can expect to take pleasure in 25 meters, Indoors. If you'll want to make contact with this Swimming Pool, email address and phone number are both number. Burgemeester de Hooppark , Sneek , NETHERLANDS (Postal Code: 8605 CR). Among all the activities provided by the center, if you are considering swimming you'll get pleasure from 25 meters x 15 meters, 6 lanes, Indoors. If it is advisable to contact this Swimming Pool, email address and phone number are both number. Zuiderveldstraat 4 , Joure , NETHERLANDS (Postal Code: 8501 KC). Swimmers like you reported 25 meters, Indoors. Phone number and e-mail address are number for this Swimming Pool. Updated on 2019 Jelsumerstraat 12 , Leeuwarden , NETHERLANDS (Postal Code: 8917 EN). Swimmers like you reported 25 meters, Indoors. Phone number and e-mail address are number for this Swimming Pool. Updated on 2019 Brug J. Dijkstraweg 11 , Franeker , NETHERLANDS (Postal Code: 8801 PG). This sports center offers 25 meters, Indoors. Contact details for this Swimming Pool just like phone number and email address are number. Updated on 2019 Kalverdijkje 77a , Leeuwarden , NETHERLANDS (Postal Code: 8924 JJ). This sports center gives 25 meters, Indoors. Contact information for this Swimming Pool such as phone number and email address are number. Updated on 2019 Ieleane 1 , Stiens , NETHERLANDS (Postal Code: 9051 LP). Swimmers like you reported 25 meters, Indoors. Phone number and e-mail address are number for this Swimming Pool. Updated on 2019 Badweg 5 , Bolsward , NETHERLANDS (Postal Code: 8701 XG). Swimmers like you reported 25 meters, Indoors. Phone number and e-mail address are number for this Swimming Pool. Updated on 2019 De Uitlegger 2 , Oost - Vlieland , NETHERLANDS (Postal Code: 8899 CE). Among all the activities offered by the center, for anybody who is considering swimming you will take pleasure in 25 meters, 4 lanes, Indoors. If you should make contact with this Swimming Pool, email address and phone number are both number. Tolhuispark 2 , Dokkum , NETHERLANDS (Postal Code: 9103 SN). This sports center provides 25 meters x 15 meters, 6 lanes, 2 meters maximum depth, 2 meters maximum depth, Indoors. Contact facts for this Swimming Pool including phone number and email address are number. Europalaan 6 , Heerenveen , NETHERLANDS (Postal Code: 8442 GL). Swimmers like you reported 25 meters, 6 lanes, Indoors. Unfortunately we do not have the e-mail address of this Swimming Pool, but we can provide you with the phone number.